Do you seek skilled masonry assistance to repair a stone or brick structure? 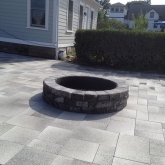 Or do you desire help building an attractive new patio, fireplace, pathway or wall correctly? 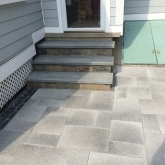 Roots Landscaping serves homeowners and businesses throughout Bethel, Connecticut. We’ve supplied high quality masonry services in this state since 2000. Our team of expert landscapers and masons appreciates the vital importance of lovely brickwork and stonework. We view masonry as an art. Call upon our dedicated specialists to help you complete a wide array of projects. 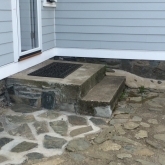 For example, we’ll help you tackle any masonry task: construct a strong cement block retaining wall, repair a crumbling brick fireplace, or install a charming new stone patio. You can request our expertise in completing these improvements, and any other types of masonry assignment. 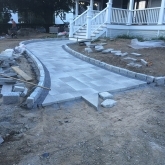 A quick review of popular online sites such as Google Reviews, Yelp, etc.,… will reveal Roots Landscaping as one of the top-rated local masonry firms. We’ve made serving our customers our top priority. We routinely assisting Bethel residents. 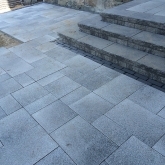 If you desire the highest quality of skilled masonry work for the most competitive possible prices, we hope you’ll designate us as your preferred masonry company in Connecticut! 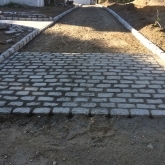 You’ll appreciate the generous selection of stone and brick carried by Roots Landscaping in Bethel, Connecticut. Our team will work closely with you to help you obtain any masonry materials and tools you prefer to use in your next project. With literally hundreds of excellent building and landscaping materials available on the marketplace today, we can recommend some popular choices for your consideration. 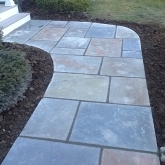 We’ll also search to obtain specific types of stone or brick materials you request. Think of us as your best source for masonry expertise. Our exemplary customer service contributes to the popularity of our company in Bethel. Does your business seek highly qualified masonry assistance? In Bethel, we furnish the skills of expert contractors. Call upon our extensive masonry installation, restoration and repair services with confidence. We’ll gladly meet with you in person to discuss your commercial masonry needs in depth. 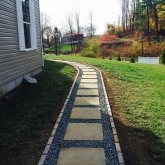 Root Landscaping strives to furnish the most highly rated masonry installation, restoration and repair services in Bethel, CT. We welcome the opportunity to introduce you to our firm and its dedicated team. We also offer experienced landscaping and fencing assistance. For further information, call us now at 203-304-7326.